April is National Autism Month. 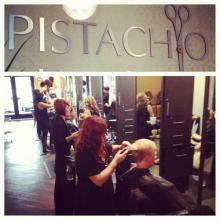 To celebrate and raise awareness, Pistachio will be hosting a cut-a-thon on Sunday, April 6th from 11am – 2pm. A minimum donation of $25 is required for all haircut services and all proceeds will benefit the San Diego Autism Society. Space is limited and appointments are recommended. So please be sure to get your haircut while supporting a good cause!